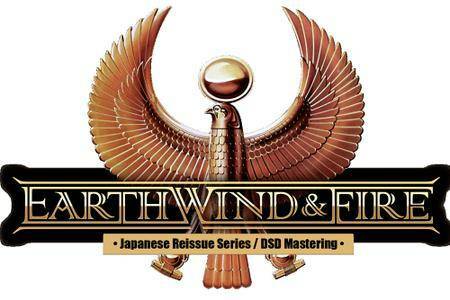 Columbia's 1998 collection of Earth, Wind & Fire's Greatest Hits in many ways stands as the group's definitive compilation. Even though there have been more extensive overviews of the group's work, such as the triple-disc set The Eternal Dance, this is the first collection to contain all of the group's biggest hits on one disc. All but one ("Love Music") of the ten songs from 1978's The Best of Earth, Wind & Fire are included, while six of the ten songs from The Best Of, Vol. 2 are featured; the remaining two cuts on the 17-track collection are the minor early single "Kalimba Story" and the album cut "Gratitude." These are fine additions to the album, but the true meat of the collection lies in the hits – "Shining Star," "That's the Way of the World," "Sing a Song," "Getaway," "Got to Get You Into My Life," "September," "Boogie Wonderland," "After the Love Has Gone," "Let's Groove," and so many others. They might not be presented in chronological order (the only flaw in this otherwise flawless collection), but it's a sheer delight to have all of the hits on one terrifically entertaining and valuable disc. 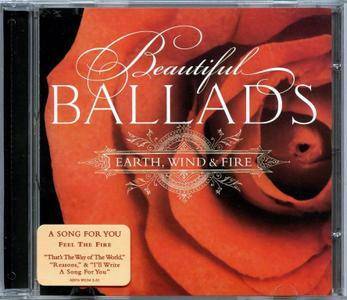 This 14-cut ballads collection from Legacy is culled from Earth, Wind & Fire's glory years with the label between 1973 and 1979. There are many classic cuts here; well, all of them actually, that rate in the slow burner hall of fame. Cuts like 1974's "Devotion," and "Keep Your Head to the Sky," from the 1973 album of the same name are here, along with "Love's Holiday" and "Be Ever Wonderful," from 1977's All 'N All, as well as the super bad "Wait," from I Am in 1979. While it is tempting to think of this as simply a comp, putting all these ballads together on a single disc creates a fine vibe for digging into the truly lush and romantic side of one of the greatest groups of the '70s. Raise! 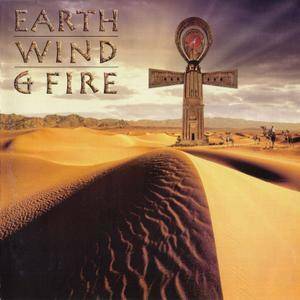 is the eleventh studio album by Earth, Wind & Fire, Released on November 14, 1981 by CBS Records, it was produced by the band's leader Maurice White for Kalimba Productions. Raise! was the bestselling R&B album of 1982. The album featured the #1 R&B and # 3 Pop hit "Let's Groove". The single "Wanna Be With You" won EWF a Grammy for Best R&B Vocal Performance By A Duo Or Group. Raise! also marked the return to the band of guitarist Roland Bautista, last heard from on 1972's Last Days and Time. Ken Tucker of Rolling Stone describes Raise! as a reflection of "street-gritty black pop" and that on "Let's Groove" and the fast, cutting "Lady Sun", the horn section screams like a car running a red light". Music critic Robert Christgau says that on the album, he felt "a show of strength was due". 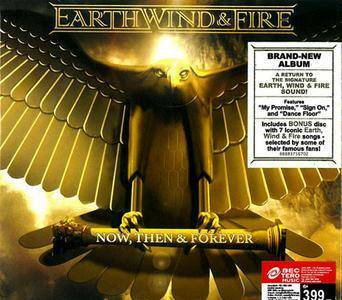 Now, Then & Forever is the 20th studio album by Earth, Wind & Fire, released on September 10, 2013, by Legacy Recordings, a division of Sony Music. This is the first Earth, Wind & Fire album without musical input from founder Maurice White, although he supplied liner notes. Larry Dunn, another founding member, joined the production team on this album lending his signature style as the keyboardist for several tracks. The first release from the album was "Guiding Lights" which premiered in 2012. In 2013, the second single "My Promise" was released. Band members say that this album is a return to the old Earth, Wind & Fire sound and formula while mixing in some new innovations as well. 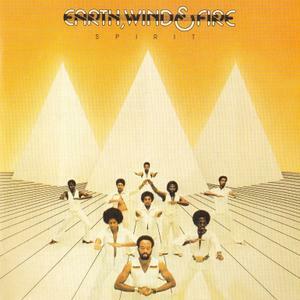 "Spirit" is the 7th studio album by Earth, Wind & Fire, released in September 1976 by Columbia Records. The album rose to #2 on both the Billboard 200 and Top Soul Albums charts. "Spirit" has also been certified Double Platinum in the US by the RIAA. As Charles Stepney died in the midst of its recording sessions, Maurice White went on to mostly arrange and produce the album. The LP was thus entitled "Spirit" in dedication to Stepney. "Getaway" reached #1 on the Billboard Hot Soul Songs chart. The single also rose to #12 on both the Billboard Hot 100 and Disco Action Top 30 chart. "Saturday Nite, peaked at #4 & 21 on the Billboard Hot Soul Songs and Hot 100 charts, respectively. It also reached #12 on Billboard's Disco chart and #17 on the UK Singles chart. 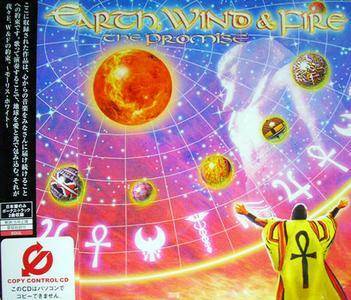 The Promise is the 18th studio album by Earth, Wind & Fire. Released on Maurice White's label Kalimba Records, it was their first of new material in six years. The album reached #5 on the Top Independent Album Chart and #19 on the Top R&B/Hip-Hop Album Chart. It also featured collaborations with Angie Stone, The Emotions, Gerald Albright and Paulinho Da Costa. The album's cover art was designed by Morito Suzuki. The track "All About Love" is a different song and not a remake of their 1975 song of the same name from their album That's the Way of the World. The album cut produced and written by Tim & Bob Hold Me was nominated for a Grammy for Best Traditional R&B Vocal Performance. 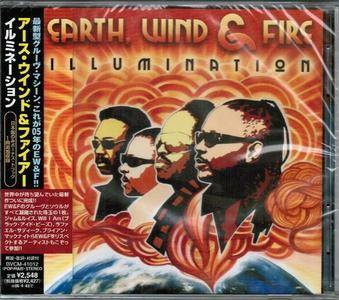 Illumination is the 19th album by R&B band Earth, Wind & Fire. It was released in September 2005 on Sanctuary Records. It featured collaborations with several artists including Jimmy Jam and Terry Lewis, Kenny G, Kelly Rowland, will.i.am, and Brian McKnight. Illumination debuted at #32 on the Billboard 200 Chart, and #8 on the Top R&B/Hip-Hop Albums Chart. 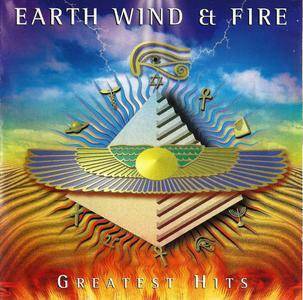 "In the Name of Love" is the 17th album by Earth, Wind & Fire. It was released in 1997 on Rhino Records and was produced by the band's leader Maurice White for Kalimba Productions. The album was originally released in Japan only, under the title of Avatar; this pressing contained a different track list than the more widely released version. The track "Love Is Life" is a remake of its namesake which appeared on the band 's debut album, Earth, Wind & Fire. 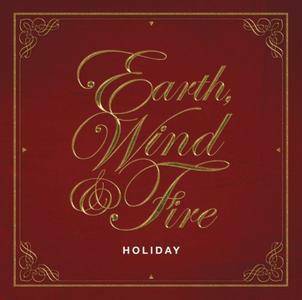 Presenting Holiday, the first-ever Christmas album from the legendary Earth, Wind & Fire. Holiday is a spirited celebration of the festive season, bringing together brand new recordings of seasonal standards ("Winter Wonderland," "The Little Drummer Boy," "Sleigh Ride," "Jingle Bell Rock"), beloved carols ("Joy to the World," "Oh Come All Ye Faithful," "What Child Is This?," "Away in a Manger," "The First Noël"), a traditional Japanese winter song ("Snow"), a modern day Christmas song ("Every Day Is Like Christmas") and future Earth, Wind & Fire classics: "Happy Seasons" (inspired by "Happy Feelin'), and "December" (inspired by "September") featuring original vocals from Maurice White.